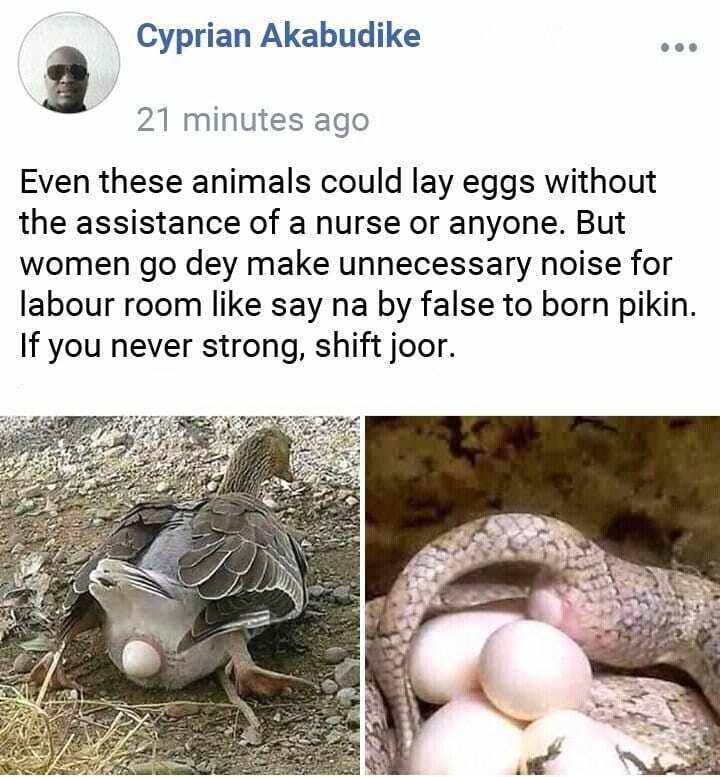 Man, Cyprian Akabudike, who let his tongue a little too lose, on Facebook received some backlash after he shared a post in which he belittled women in labour by comparing them to birds and snakes. 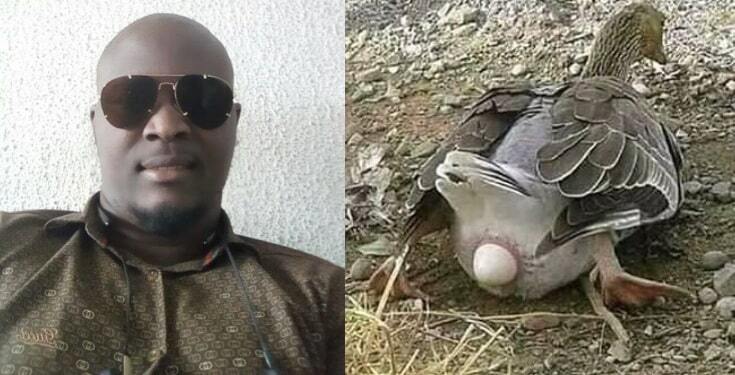 In his crass post, Akabudike remarked that while animals (birds) do not need help from medical personnels when giving birth to their young ones, women, make unnecessary noise in the labour room. tbellz07: Woooooowww!! Just look at how much effort,time and industry someone put into sounding like a ret*rd. I was with my wife in the labour room. Hard guy, hard guy, I close eyes, cringe very well and even pick race. 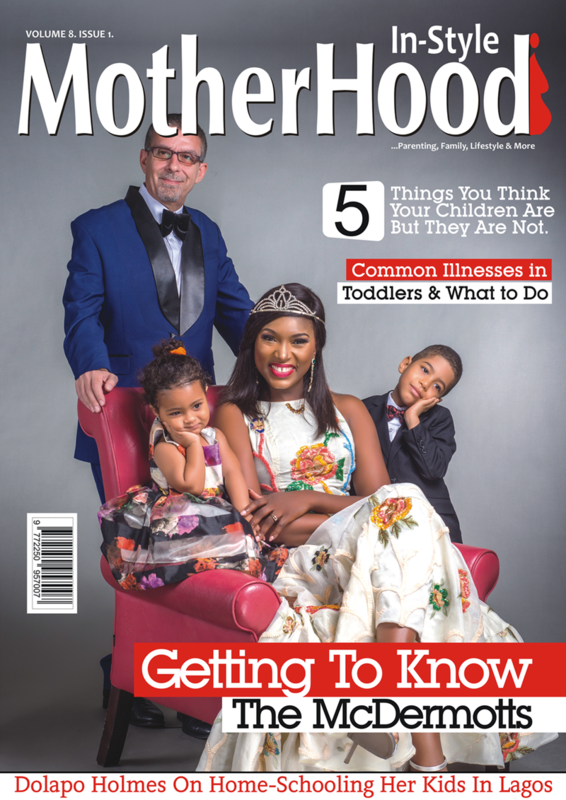 Any woman that has gone through labour pains is a hero and the real MVP. Uncle, shut the hell up and stop this reckless exhibition of stupidity. ruqqybams: Someone that can’t spell force. 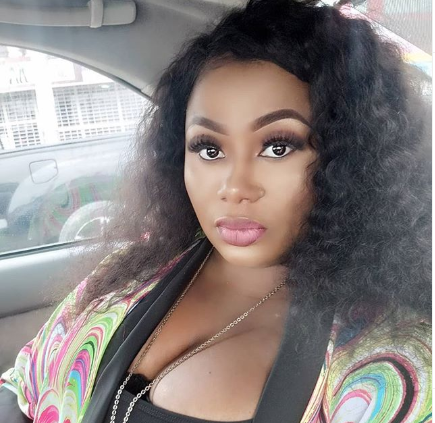 diosespoder01: Can somebody tell this Mumu that humans don’t lay eggs? 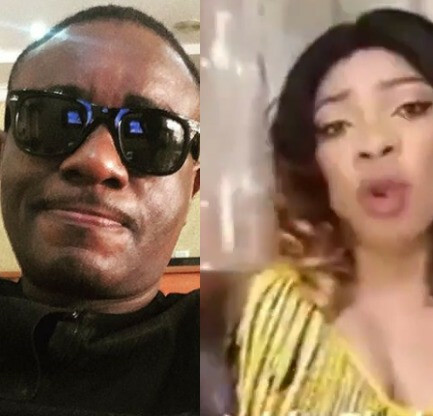 walegates: Till you compare his mother to a chicken laying an egg then he loses his f***ing mind. 🙄🙄🙄 Obviously never entered a Labour room, if men could have children this world will be underpopulated AF. okuko bigvaijokotoye: Bro, pls you need to witness a woman in labor one day, you will apologize for this post. beverly_emberru: No need to answer this one because obviously, your thinking cap has been compromised. You will get married one day, when your wife is about to give birth, please let her be. Let her handle it herself even though she has no medical knowledge. Make we see whether she and the pikin go survive am. bigvaijokotoye: Bro, pls you need to witness a woman in labor one day, you will apologize for this post.